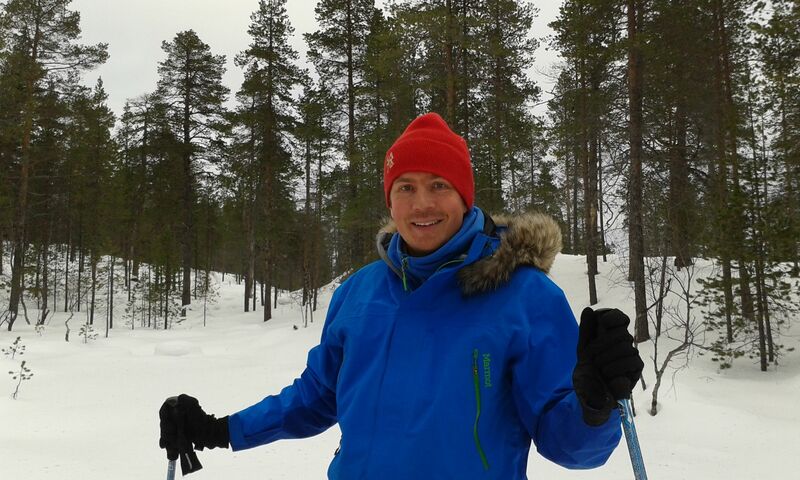 After our trip to Lapland I was home just for a few days. I had just enough time to pack everything in the van and head towards the south. I took the ferry to Stockholm and my first stop was in Nürnberg, Germany. There I attended the Paddle Expo, a paddlesport trade show. All the major paddlesport brands where present there, but there wasn’t really many new or innovative products. After the expo I picked up Henna from the Munich airport. Our first stop was Slovenia and the town of Bovec. We had plans of doing some whitewater kayaking on the Soča river and doing a Via Ferrata close to a mountain called Mangart. When we got closer to Bovec, we noticed that there was already a lot of snow on the mountains. Talking to the locals it turned out that there was snow and ice everywhere above 1800 metres. So our plans changed and we went kayaking on the river for two days instead. The water level was very low and we only paddled on the easy sections. But the the river is really beautiful and it was just great to be there. It is so nice to kayak on the Soča again after a few years. The water is so clear and it is great to see the trout swimming in the river. The water was a bit cool, but we were very lucky with the weather. It was peaceful on the river. Not a lot of kayakers, rafts or fishermen on the river. I have never been there in the summer, but I can imagine it is very busy. Now in October we just saw a few fishermen fly-fishing. We brought our own kayaks from Finland and I did the shuttles with my bike. It is okay since the road is close to the river, but does take a lot of time. And you need to bike uphill! If you want to go kayaking on the river, but don’t want to bring you own gear, you can rent everything from the Prijon Sport Center. If you don’t have a lot of experience or you don’t know the river, I would also recommend taking a course with them or hiring a private guide. It was nice to be back in the Soča valley. There is a lot of other activities available and a lot of good options for accomodation. I would be happy to give my recommendations, if you plan to go there!